There is a decades-old cliché about and among Oahu drivers that when it even drizzles, people forget how to drive on Oahu’s rainy roads. It’s actually a fair assessment. But as Oahu gets pelted with heavy rains this week, it’s also important to note why many drivers become more timid on the roads. We’re used to passing showers on the northeasterly trade winds through most of the year. But when a large weather system parks itself over the island, driving safely does require more concentration than our usual sunny skies. The fist concern for drivers during heavy rains is flash flooding. Flash flooding occurs when the soil becomes saturated and falling rain turns into runoff, rather than soaking into the ground. This pushes water into drainage ditches. When those ditches reach capacity, rainwater is pushed onto streets, creating dangerous road conditions. Fast moving torrents can turn hillside streets into dangerous rivers. 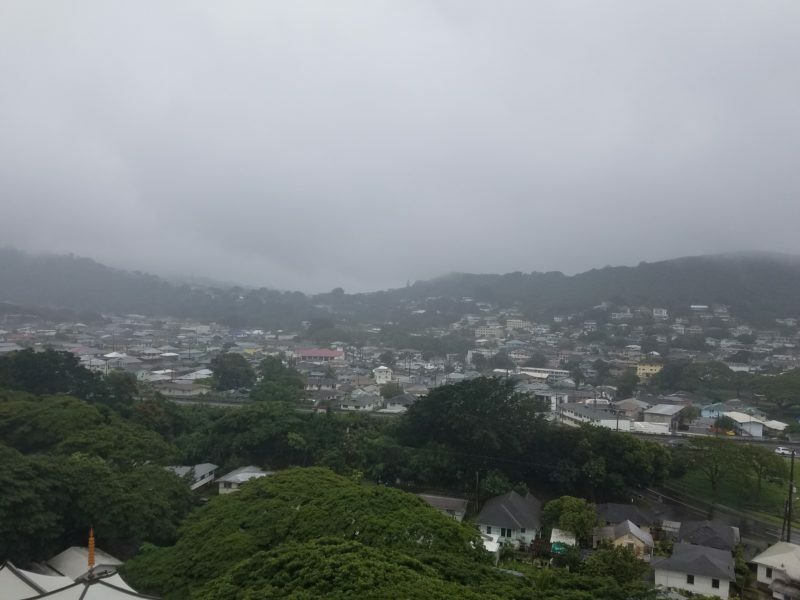 In other areas like low-lying Mapunapuna near the Honolulu International Airport standing water collects, flooding whole neighborhoods and isolating businesses in the area. Motorists attempting to navigate deep spots can be stranded in their vehicles. The situation becomes even more dangerous during high tides in low lying areas when the heavy rains fall. Another concern for drivers is that lane markers on many roads are faded. This isn’t much of a problem under sunny skies. But when the rain is really coming down, it can be difficult to see lane markers. This is particularly true at night during heavy rains. So, when the rains fall heavy on Oahu, driving takes on a new dimension. It is not that drivers “forget” how to drive. It’s that we remember the perils of driving during a flash flood.